You must make reservations at least 5 minutes in advance of the time at Roessler's. Between McIntosh and Sarasota Central Park Way on Vamo Way. The private wine room accommodates up to sixteen guests and the other two semi-private rooms accommodate 20 to 40 and 50 to 100 guests. Please call us foe details! PLEASE NOTE WE CAN NOT ACCEPT RESERVATIONS FOR OUR "BISTRO" DINING ROOM, PARTIES OVER 6, OR HOLIDAY RESERVATIONS THROUGH OPEN TABLE. PLEASE CALL THE RESTAURANT IF YOUR TIME IS NOT AVAILABLE. THANK YOU!!! classic seafood stew including fresh fish, mussels, scallops, shrimp, and blue crab. served with garlic toast. This is an excellent restaurant; the menu is interesting and the quality first rate. The outside appearance from the road does not do justice to the exceelnt inside and back garden. Certainly one to go for good food. My daughter and her husband were here visiting and we were looking for a “special” place to celebrate a birthday. We couldn’t have made a better choice! The ambiance was incredible and the food was exceptional. Our waiter was very knowledgeable about the menu options and attentive without hovering. Definitely a go-to restaurant for a five star dining experience. A restaurant like those of our youth. Smaller dining rooms in a rambling structure and a limited but well executed menu. Roessler's is like going to visit an old, good friend. 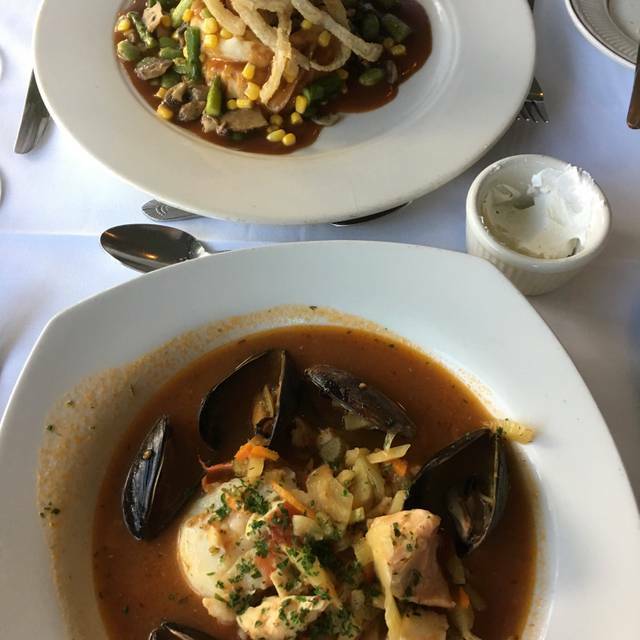 The food was very good quality; I thought that my fish was cooked perfectly and our waiter was very knowledgeable in all of the dishes. It was a quiet night but that is exactly what we wanted! The view from our table was beautiful ( far from the front of the restaurant) The bread is amazing! 👍. My husband is picky about his gimlet and it was made perfectly. We will be back! We don't go there often as it is a bit pricey, but the food is usually very good. The service is usually a little on the slow pace, but that's ok, it's fine dining. This past visit, however, the service was very slow. Our server seemed to be unaware of how long we were there waiting for him to return. The atmosphere is pleasant, although I should remember to ask for seating in one of their quieter rooms. The larger rooms tend to be noisy, but they do have a few smaller and quieter rooms. Overall, good food, slow service and a little pricey. I did not care for the ambiance. My husband's duck was over cooked. My sea bass was so small for the cost. Res needs to be updated and guests are too old. I would never recommend this restaurant to anyone coming from Chicago. One of my favorites in Sarasota-excellent food and great and fair wine list. Klaus seated us quickly at a table with a great view of their lovely pond, complete with palm trees, flowers and geese. Mark was our (knowledgeable and attentive waiter). We opted to have a cocktail before dinner; they had Pernod, one of my husband’s favorites. 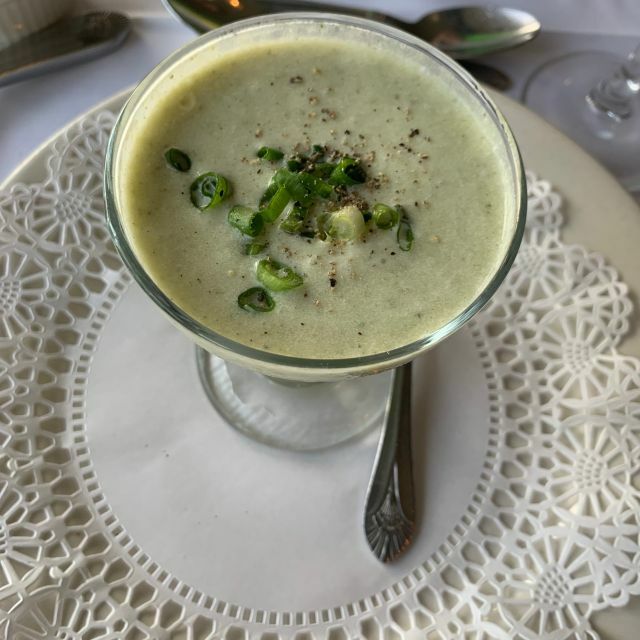 We started with the Escargot (garlic and hot, just right) and the house speciality Vichyssoise (Mark suggested added pepper to perfect it, a good steer). We both had a glass of a Sonoma chardonnay with dinner. My husband had the soy-glazed salmon with coconut risotto (butter, minced red onion minced and coconut cream). I had the veal francese with creamed potato, spinach and glazed carrots (excellent). Dessert was a shared chocolate mousse, and decaf coffee (fresh brewed), the perfect ending. The check was reasonable, given the amount that we had to eat and drink. Great meal! One minor (?) thing they may want to look at ... the ladies room floor could use some attention (scrubbing). We had a great meal in the Bistro area, enjoyed the setting, and loved the fact that you can carry on a conversation over your meal. It was crowded, so the service was slower than our last visit a week ago. It wasn't a problem for us, but others may have felt differently. I've been to Roessler's many times over the years. 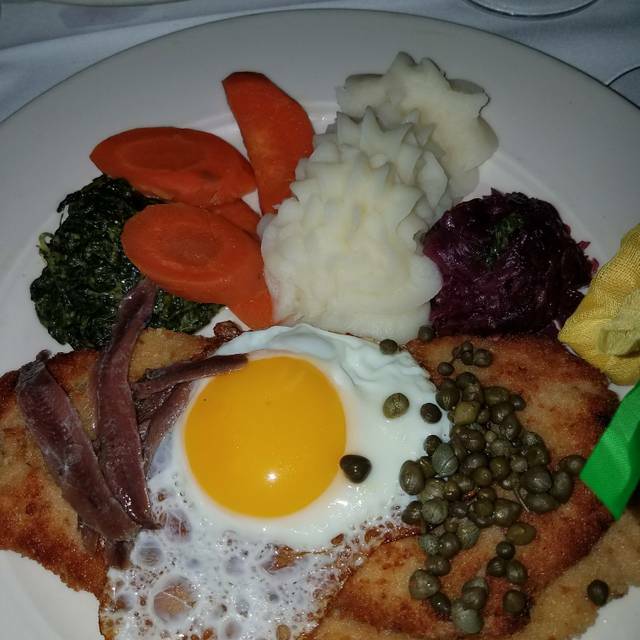 Their food is simply incomparable, especially the crispy duckling and the wiener schnitzel, both difficult to find elsewhere and truly excellent. The restaurant offers diners scenic views of their beautifully landscaped property, contributing immensely to the overall atmosphere of serenity and beauty. Every visit has been a great experience. Had a wonder dinner in the Plate Room with friends, great table location by the window and watched the sun go down while sharing drinks. 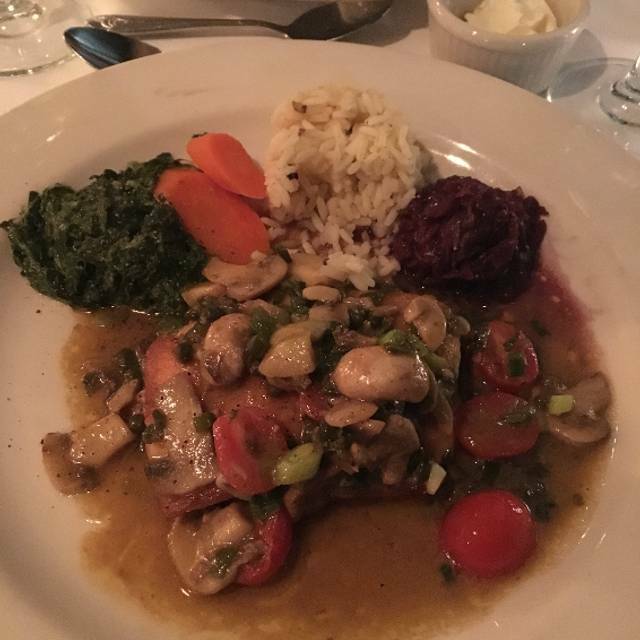 The entree's at Roessler's are always consistently great, fresh, well prepared. We all had a different entree and everyone enjoyed their meal. Thanks you so much for the great food and service! We are referring you to all our friends in Sarasota Newcomers Group and New Sarasotans as well. We had a lovely dining experience there on Saturday evening. It was a rocky start due to a misunderstanding about the menu. They handled it with grace and we got our table and the food we wanted right away. The location is gorgeous, the service was fabulous and the food was a delight. Dessert was decadent. We will go again at the next opportunity to do so. What a beautiful setting for such a wonderful evening. We very much enjoyed our dinners, accompanied by a delightful wine, as well as having experienced good service. 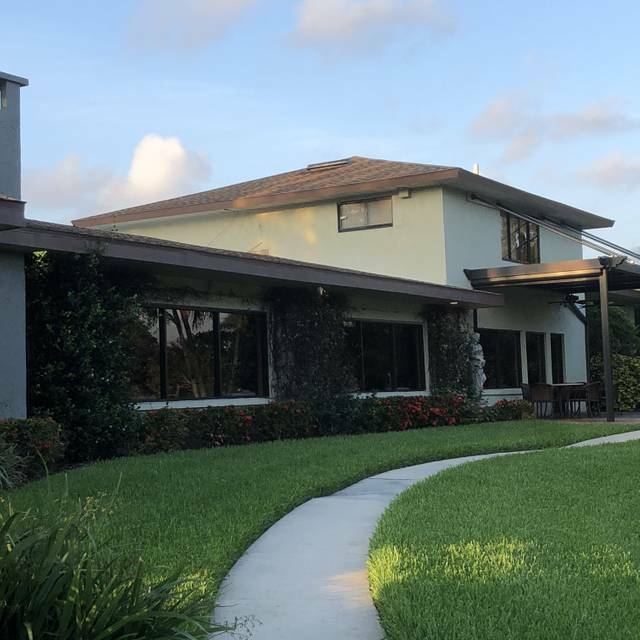 We will return and are happy to have this great restaurant in Sarasota. A bit old fashioned but everything good, if not great. We particularly liked the sweetbread appetizer and vichyssoise starters. Venerswitzel classily prepared and served. Ditto the bananas Foster. Nice wine list but nearly undrinkable whisky sour. Fully priced. A nice setting but decor somewhat tired/old age home-ish. Always a great destination restaurant. The menu not varied enough but not huge, and that’s a plus. The ambiance is wonderful. The service is impeccable. I have found this all to be true each tome I have visited. And if you enjoy sweetbread, and who doesn’t enjoy pancreas’s, :-) this is one of the only restaurants in the area in which it is always on the menu, both as an appetizer or main course. 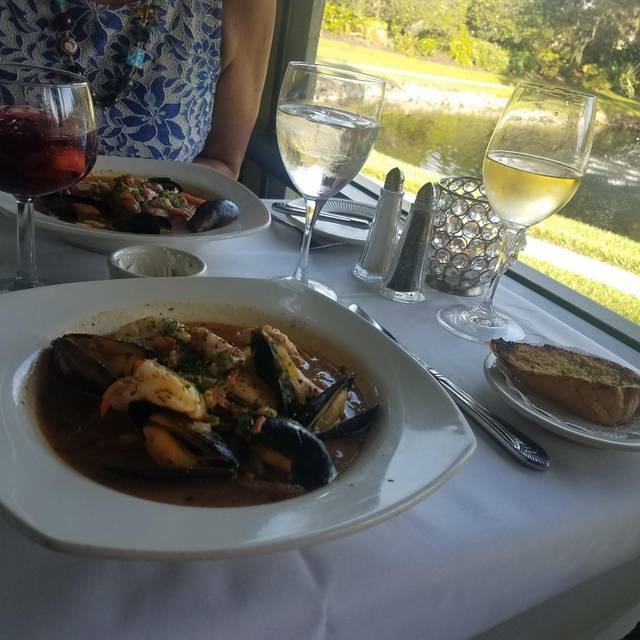 Roessler's food is superb, service wonderful and atmosphere the best in Sarasota. Lovely setting, welcoming and accommodating staff, excellent service and food. Loved having some of the classics such as sweetbreads, and peppercorn filet with brandy cream sauce and crepes suzette. OLD Florida Restaurant that has really good food - and some unusual dishes as well. Worth trying to find for non-residents. We have always enjoyed the restaurant. We had friends visiting thought this would be a great local restaurant to enjoy. Service was not what we have experienced in the past. Basically service was bad! Wonderful evening, beautiful view of the fountain, the owner & his staff are very professional, my guests were raving about the food & wine. My “Sweetbread (Veal) were as good as any I have ever had. 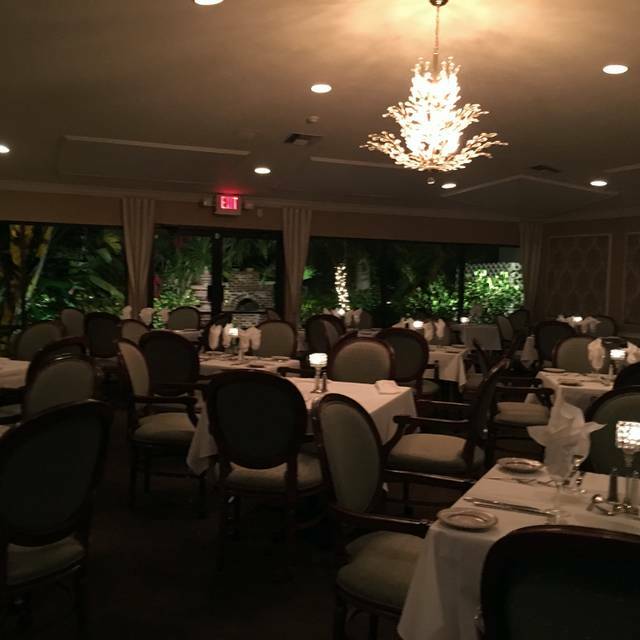 Roessler's is our favorite upscale restaurant in Sarasota. Has been for more than 20 years and no others have yet replaced it for overall dining enjoyment. Run by a nice family! Food was very good but the service very slow . More than 25 minutes with only water. Not acceptable and no opportunity to order dinner. Yes I would recommend Roessler's as long as they aren't Vegans or have special dietary needs.. There continental dishes have been consistently good for the 16 years we have been coming. Our waitress didn't know anything about Vegan dishes being offered so she had a waiter come by to tell us what was available, I asked him the prices since restaurants who are not Vegan want to charge you more then a lot of the regular dishes. So he had the nerve to ask me if was I a vegan because I was cheap?? We should of left then!! I ordered the Mushroom raviolis which came in a plain white bowl with 7-8 Raviolis, no garnish, no sauce of any kind for $18.00. I would be embarrassed if my chef put out such an uninspiring dish with absolutely no presentation. I was in the Restaurant business for 27 years and owned a French Continental Restaurant in Atlanta for 19 years. I expect when in a nice restaurant like this one even the Vegan entrees would have some creativity and decent presentation. 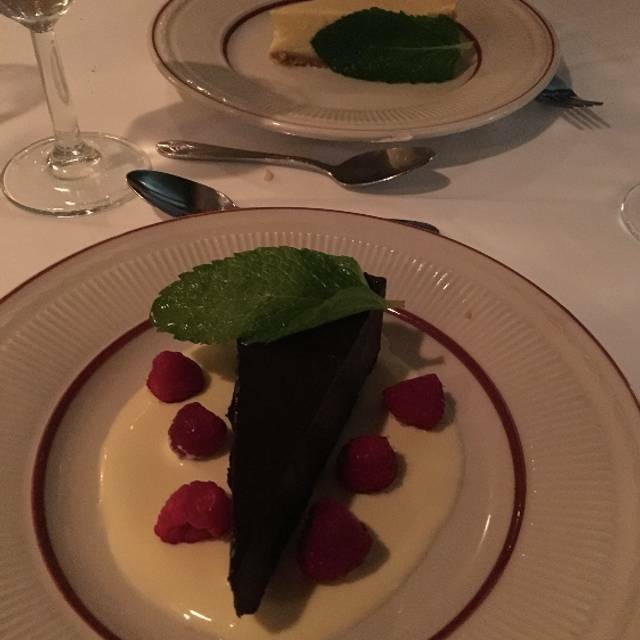 We ate at Sage last week and had a fantastic Vegan Dish with great taste, preparation and presentation I have had Vegan meals at least 3 other times at Rosseler's which were adequate so as you can understand how we all were shocked when the meal came to the table. I made the reservation 3 days early and let them know that a Vegan was part of our party. Based on their lack of preparation it tells me they don't care to be creative or want repeat business from people who have brought customers to DINE over 25 times! It’s was lovely. Calm and relaxing! The food was delicious but both of us remarked our entrees could have been hotter! Particularly the potatoes and vegetables. We were too hungry to ask for a re-heat! Hence the four stars on the food. I feel that when there are Ladies present in the group they should be asked FIRST to place their orders and to choose their drinks - this did not happen at ANY TIME during the service. There was also an inordinately long wait between choosing each course. When we were asked if we needed more wine - we had ordered individual wines, by the glass - the waiter asked the Gentlemen BEFORE asking the Ladies. Overall, I felt Ladies should not be regarded as “an afterthought” and that was my experience on this occasion. Perhaps we were unfortunate? I had invited guests from Canada and Ireland - therefore, I was rather embarrassed by this dining experience. We loved the food and ambiance in the Bistro however the service was lacking. Hopefully this was a one time event as they were certainly busy. We will certainly come back again because the food was outstanding. The meal was wonderful for all 3 of us as well as the ambiance. The waitress was terrific as well. Great dining experience!! A most enjoyable evening. Beautiful views from the window and we thoroughly enjoyed our meal. Mark, our server was most helpful and Very friendly and efficient. We had a very good evening. 39th wedding anniversary and the meal was fantastic! Would highly recommend to dine there. We had table 21 with its lovely view of the fountain and bridge. Mark was our servor; he was attentive without hovering. The food was just right. We were quietly celebrating our anniversary, and two lit candles adorned our desserts. Best dining experience ever in Venice area! 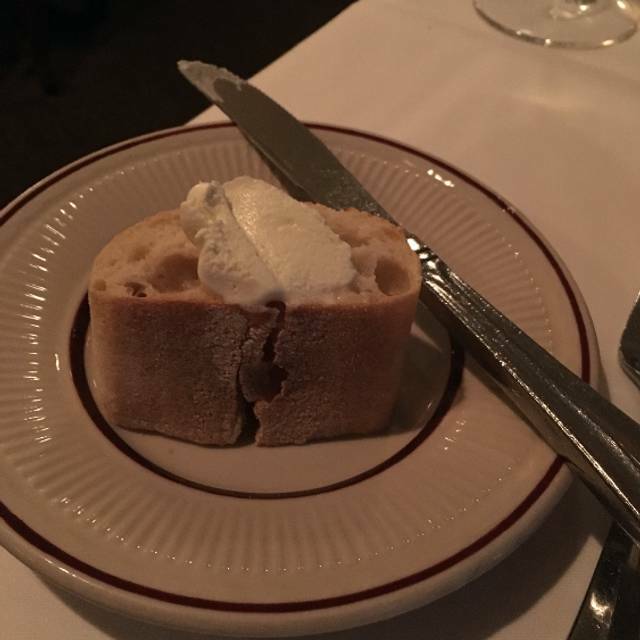 Roessler's is terrific: we highly recommend it for fine dining. Perfect for special occasions! Our waitress was affable, accommodating, and very professional. We were seated next to a party of 6 and they were not very considerate of the other diners. The other diners who filled the room kept their voices at a low conversational level. Casual, upscale dining in the Bistro at an affordable price! Highly recommended. Our very favorite place to go while in Florida. Always top shelf!! !